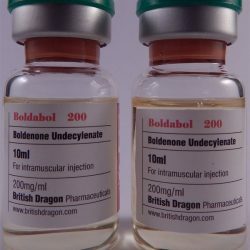 Boldenone Undecylenate - steroid of anabolic and androgenic effects. Also known under the trade names Equipoise, Boldebal, Boldabol, Ganabol, Boldesten. 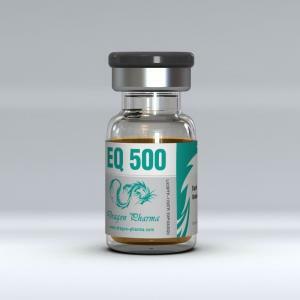 Initially created as a drug Methandrostenolone with prolonged action, but as a result of research was obtained Anabolic Androgenic Steroid with completely different characteristics (despite the structural similarity). This steroid is devoid of 17-alpha-methyl group of Dianabol molecule. Chemically Boldenone - a testosterone molecule has a double bond between the first and second carbon atoms. Undecylenate for its anabolic properties is not inferior to Testosterone, while its androgenic activity are twice weaker. But the results show the practical application of the steroid that Equipoise anabolism is still inferior to the Testosterone indicator. A set of muscle mass. There is a slow but quality increase of muscle volume. The nature of the effect is caused by long ester: in the case of Acetate or Propionate, Boldenone hypertrophy will occur much faster. Increase in power rates. The effect, which is almost always accompanied by an increase in the weight of the athlete. Increase in red cell blood. The drug stimulates the formation of red blood cells. Thus, the muscles get more oxygen and may obtain performance without the formation of lactic acid. Increased endurance of the athlete. Boldenone is often used by athletes, skiers and other endurance oriented athletes. Boldenone cycle should start only after a thorough medical examination and consultation with a physician. 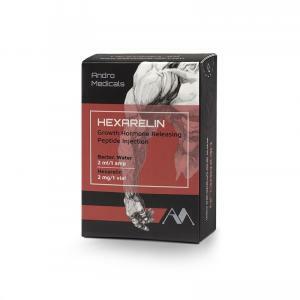 Selection of the optimum dosage is based on previous experience with anabolic and androgenic steroids, the physiological characteristics of the individual and, in fact, the purpose of use of AAS. The average rate of Boldenone only cycle lasts from 8 to 10 weeks, at 400-800 mg once a week for men, 50-100 mg for women. Starting reception can be less dosage to feel the effect of the drug and take appropriate action in the event of adverse reactions. As for Boldenone on how to take it in combination with other AAS, then for drying the best option is Anavar and Winstrol, for mass gaining cycles - Trenbolone and Testosterone. The latter combination significantly reduces the level of endogenous testosterone, and therefore it is necessary to reduce the duration of reception to 6 weeks, plus include antiestrogens in cycle. Two weeks after the Boldenone cycle, post cycle therapy is started to restore testosterone secretion, boosters are taken within a month. Strengthening the action of steroids helps specialized sports nutrition. 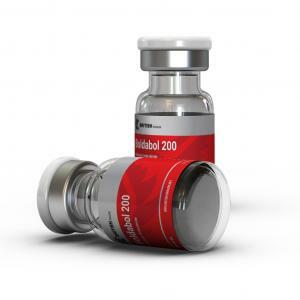 Cycle for gaining weight: Boldenone (200 or 250 mg/ml) and Testosterone Enanthate. This combination is probably the best for beginners. 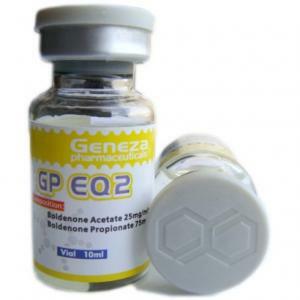 The use of Boldenone can eliminate estrogenic effect of Testosterone, as well as androgenic symptoms. To the cycle is also added Tamoxifen and Anastrozole (Proviron, Letrozole). From the first week to the eighth it is taken Equipoise (800 mg weekly) and Testosterone Enanthate (500 mg weekly), for the tenth week - Anastrozole (half of a tablet every other day), for the 11-14 weeks - Tamoxifen (20 mg per day, with a reduction to 10 mg for the last week). 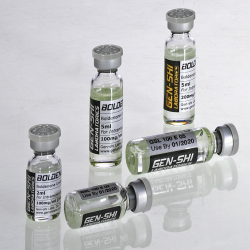 Cycle for a set of lean muscle mass: Boldenone (200 mg/ml), Testosterone Propionate (100 mg/ml), and Winstrol (50 mg/ml). The main difference of such a cycle is the high quality of gained muscle mass from Winstrol inclusion in cycle at 6-10 weeks. Many characteristics of Equipoise are determined by the presence of a double bond between the first and second carbon atoms. It slows down the flavoring. 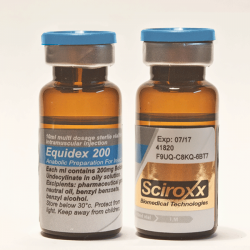 The steroid exhibits half of estrogenic activity in comparison with testosterone. 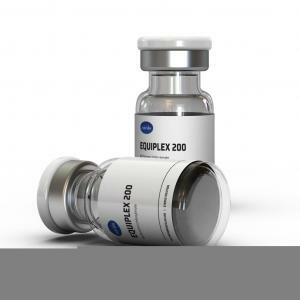 These side effects of Boldenone as high blood pressure, edema and gynaecomastia, almost never occur even with a significant excess of recommended dosages. Thus, after the reception is not necessary to take antiestrogens. Because of the low level of androgenic effects it can be used by women. Virilization seen very rarely. Resistant to steroid 5-alpha-reductase, and therefore substantially does not cause symptoms of androgenic alopecia, prostatic hypertrophy, acne, etc. 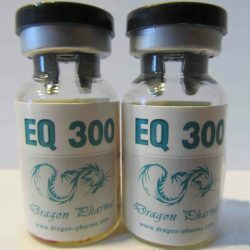 When using the recommended dosage, the level of endogenous testosterone is suppressed slightly. If you know how to properly chop Boldenone, almost all negative reactions can be prevented. Athletes says that gains are slow, but high-quality set of muscle mass and increased power performance. 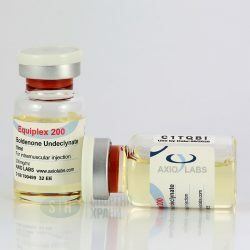 Boldenone reviews shows the effectiveness of steroid use as a solo cycle, as well as in combination. Experienced athletes do not recommend Equipoise for beginners as the first experience of using AAS. 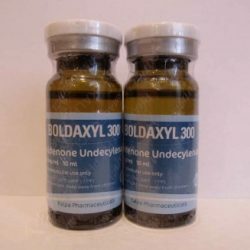 Boldenone reviews from women are talking about the possibility of taking this steroid in minimal dosages. Most often, if implemented as described instructions and advice of your doctor, negative reaction is possible to minimize or completely eliminate. Most athletes do not like the price of drug. Due to the high cost of Boldenone, many prefer cheaper AAS. Unit: 10 mL vial (300 mg/mL) . Unit: 1 vial (10 mL / 200 mg) . Unit: 2 mL vial (100 mg/mL) . 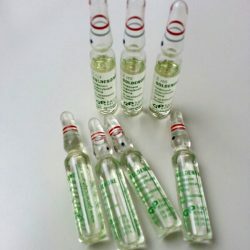 Unit: 5 mL vial (100 mg/mL) .